Modern-day ad networks serve as the marketing intermediary that makes it easier to show ads to wider audiences, while doing so in the manner which will benefit all parties involved, from advertisers to publishers. The way in which these ad networks can provide ads most efficiently is by functioning as a rock-solid bridge that connects advertisers, who promote products and services, to publishers that want to make those ads fit seamlessly in their websites. Thus, picking the right ad network that never lets the publisher out of the picture becomes an imperative. Take five minutes to learn why this can be an essential marketing consideration for any self-respecting publisher. First of all, working with an ad network for publishers allows you to monetize your web asset, be it a blog, podcast or self-help website. In other words, working with ad networks enables you to fill your coffers and become a full-fledged publisher that can either live off your website or use generated profits as a side income to make the site pay for itself. Working with ad networks is generally a more affordable option compared to looking for advertisers yourself and engaging in long term negotiations which can exert a lot of pressure on your resources. This is particularly true if your web property is relatively new, resources are limited, and any help is more than welcome. With ad networks, you can plan for monetizing your ad space on a per-user basis, which allows for the monetization of an ad inventory that is expansive enough in its scope, going up to 100%. This is made possible since ad networks allow for selling large portions of the ad inventory. Fast generation of revenues is particularly important for web owners whose sites have been recently established and still demand revenue streams to cover for the site running costs. In addition to this, publishers will have an easier time planning their marketing campaigns based on cost-benefit analysis, since working with ad networks makes it easier for them to project costs based on secured marketing deals. The RevenueHits ad network, for example, wants to make your marketing efforts mutually beneficial, as it operates as a self-service platform for publishers that focuses on helping them monetize their web asset and extract the highest value from every inch of available advertising space. Currently, it serves more than two billion ad impressions daily across all GEOs, together with more than 20,000 publishers who can easily appreciate its guaranteed 100% fill rate and all-around optimizations for web and mobile platforms alike. Still, showing even the best ads, handpicked by an ad network, will hardly count for anything without access to a quality audience. Here, “quality” refers to a crowd that is large enough, yet targeted in the sense that they are shown only ads which are relevant to them. When advertisers have an ideal audience in mind, this vision does not necessarily mean the visitors that regularly frequent your website. This is particularly evident if you want to reach global audiences which come from diverse countries, as the advertisers can stick to their preferences in this regard. 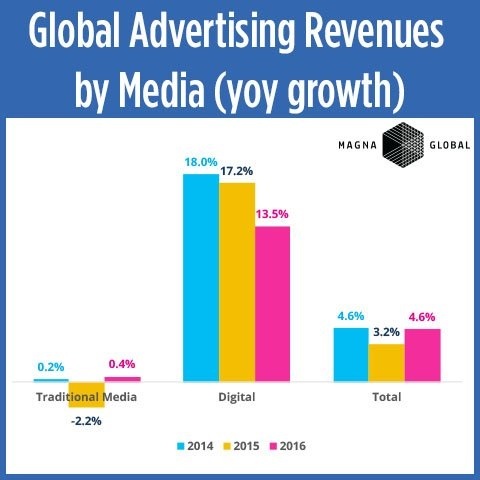 Here is where ad networks come into the play as they, by default, extend your outreach in the globalized marketplace. First of all, they can help you get access to niches that serve specialized audiences across the globe, which are not always the most obvious choices when it comes to advertising. These can be different communities whose members all come for your website’s content, such as healthy lifestyle enthusiasts, music or gaming fans who can see the ads shown on your site. Ad networks for publishers allow you to reach a global audience as well as gain access to a larger pool of advertisers and their ads. In this manner, all of the parties involved can utilize to the fullest the potential of the internet as the largest existing advertising platform. The RevenueHits ad network is well aware of this, as it acts as an agent between you, as a publisher, various advertisers, and your audience. It does so while automating the ad placement process based on the need to secure only high-quality traffic for your website. It uses visitor tracking, targeting, and optimization of ad placement via Geotargeted ad serving technology to deliver only the relevant ads to the right eyeballs among your audience. Between quicker monetization and access to a wider audience, ad networks for publishers can make you invincible by offering you less “visible” but no less essential benefits of doing business with them. Being an owner of a quality web property such as a blog can be a demanding task, both from the standpoint of generating quality content and taking care of the financial and technical aspects of this enterprise. Thus, one of the key benefits from working with an ad network is that this business arrangement allows you, as the publisher, to free up your resources and focus your energies on some other aspects of running your beloved website. You can take care of whatever task you want, without being preoccupied with running digital advertising campaigns on a daily basis. Thus, ad networks can be a convenient alternative to managing your content, focusing on driving traffic to your website and managing both the ads and the advertisers. All of these activities can take a significant toll on your human resources, as well as force you to overspend time and energy which you can otherwise redirect to improving your site’s content and SEO, for example. To achieve this, you’ll need to find a trustworthy partner that shares crucial points of your mutual business vision. RevenueHits offers to help you with planning for the future by providing you access to its high-performing ad inventory, which consists of a wide range of ad types. It offers to show these ads on your website to free up more of your time and resources, which you can redirect to working on other aspects you think are important for your website’s long-term success. Publishers look forward to using automatized, optimized and targeted ad placement as the shortcut to monetizing their web assets. These services should be, at least in theory, provided by most of the ad networks, with a caveat that you’ll want to check their competence in this segment in advance. An ad network that will help you reach for the sky should offer you fast monetization of your web asset paired with the quality targeting of a broad audience with contextual and high-performing ads. Finally, all of these efforts will make it possible for you to set aside more time and resources for the activities that are not strictly related to website monetization or advertising.